I have Strong VPN. Several months ago I was having some issues and contacted customer service. They ended up passing me to a tech in Denmark. He took over my computer and solved the problem BUT HE CREATED A BIGGER PROBLEM. Now every computer in our home has a Danish homepage and Danish ads popup. Have tried EVERYTHING to correct this and nothing works, including Strong customer service and another tech in Denmark. It is a mess, I can’t believe others haven’t had this problem! I forgot to add the ratings for StrongVPN to my review. However, I am upset that I have to leave a star as they are not worth that much! 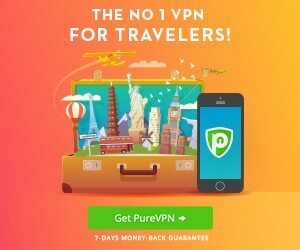 To update my last review I have since left and found a new VPN which is everything StrongVPN isn’t, fast, reliable and free customer support! StrongVPN now charge their customers to chat with their support staff which only adds to the misery of using them! I’m glad I’m not one of their customers any more and beware of the claims they make on their site, which I found out recently are not fulfilled! Recent server change has changed a great service into a diabolical one! 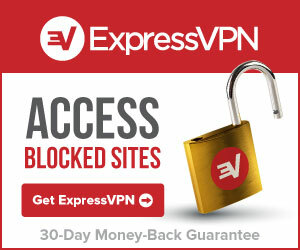 I have been a Strong VPN customer for several years now and have several VPNs which I use. These are great for working abroad and really help me. Recently Strong VPN changed their servers forcing customers onto a new one and sent out changeover instructions to make the switch to the new server. However, the new server which is based in the Netherlands is terrible and a once great service is now a nightmare. The service constantly drops out, is slow and stops working without warning. Forget watching a film or listening to a radio without interruption as virtually every few minutes there is a problem. I’ve already complained to Strong VPN customer service but nothing has changed and be very wary signing up to them based upon reliability of service as this is now very unreliable! It’s a shame as Strong VPN used to be so good but if it continues I will leave and find another VPN as the service is becoming almost impossible to use without constant interruptions! I have been using StrongVPN since October 2013 and at first it work fine. Their speed kind of goes up and down. The last month and a half their connection speed to the US has been intolerable. The average download speed is about 0.11mbps and upload speed test can’t even complete. Chat with support and was told is my issue not theirs. I have 6+ mbps download and 12+ mbps upload but they said is my ISP’s problem connecting from China to US. Well, if my ISP does not have issue connecting to the US why do I need a VPN? Overall I am very happy with strongvpn to china, I tried HMA and they have terrible support, the speed varies with strongvpn based on load, I have found that out over the last year over all I would recommend these guys solely due to support, Wutopia and HMA were better before but now due to support I say strong vpn is the best all around. regarding price, they are all about the same the openvpn package strong has is slightly more expensive but I believe its a tad better offering in server selection then the competitors at this point in the cat and mouse game. My ratings for this company. Lost control of their network. Unless others confirm a different experience I would avoid .